The Green & Gold Village is a co-ed freshman housing complex at William & Mary comprised of three buildings: Griffin, Eagle, and Lion. 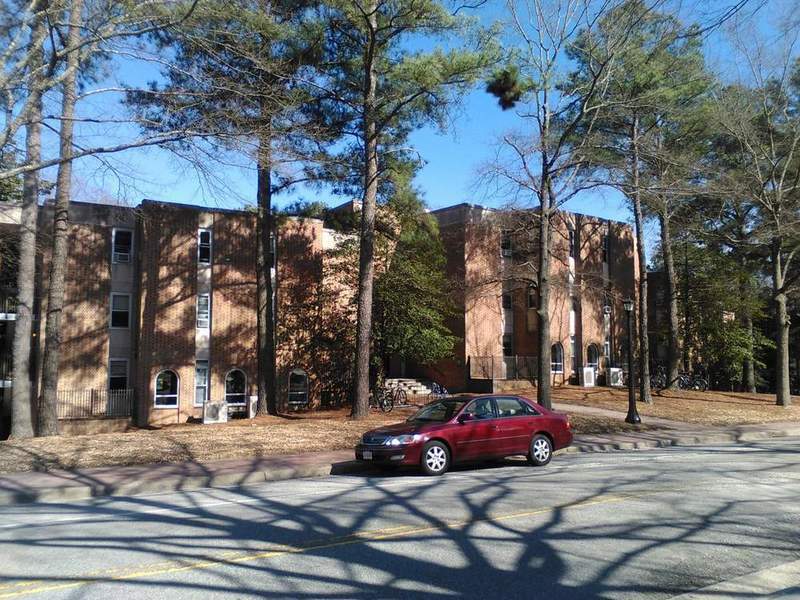 Up to 428 residents can occupy the complex directly across Ukrop Way from William and Mary Hall. The buildings that now make up the Green & Gold Village were constructed between 1965 and 1968 and served as the university's fraternity complex until the opening of the current one in 2013. 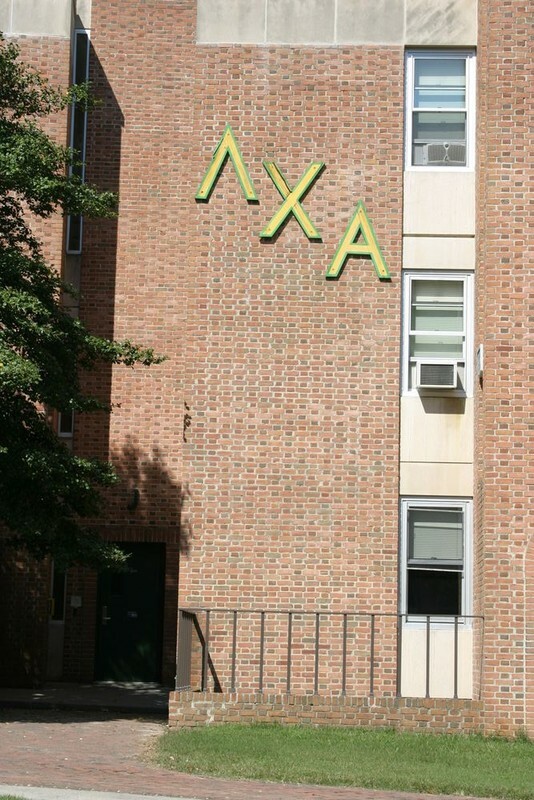 The first 4 fraternities to occupy the complex, Kappa Sigma, Lambda Chi Alpha, Kappa Alpha, and Keplar (a colony of the Sigma Chi Fraternity), began to take residence in the fall of 1967. 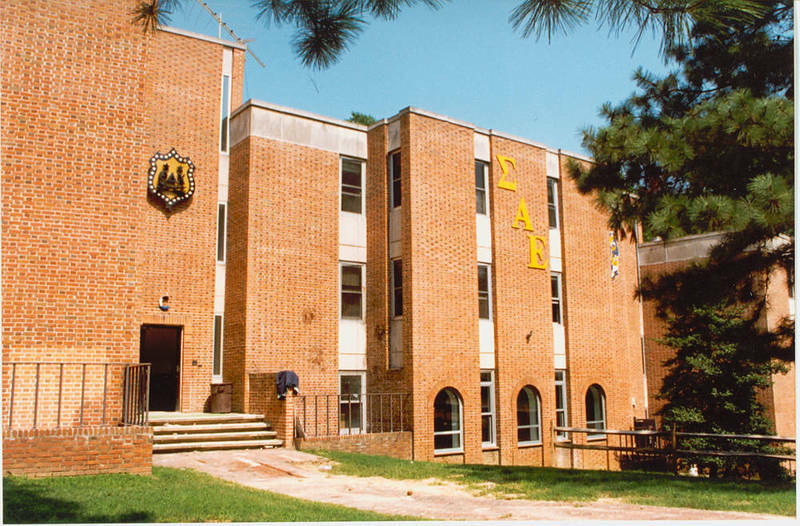 Several other fraternities began to slowly occupy the units throughout the 1967-1968 academic year, with the last ones taking residence in the fall of 1968. Each hall in the three buildings has a full kitchen and lounge on the first floor, as well as laundry machines and large lounges for study and recreation in the basement. 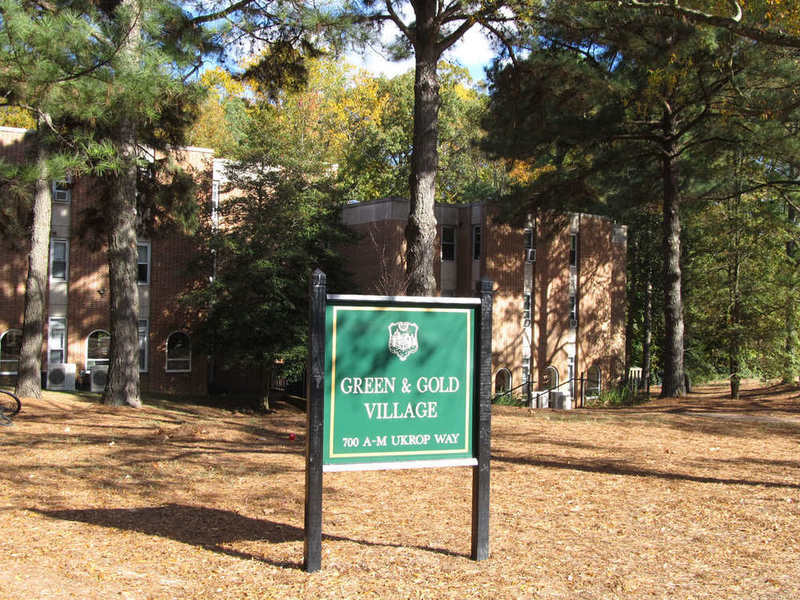 Green and Gold Village, 2013: An image of the Green and Gold Village and its new sign in 2013, following its conversion from the old fraternity complex. ~ Source: University Archives Photograph Collection, UA 8. ~ Creator: College of William and Mary. 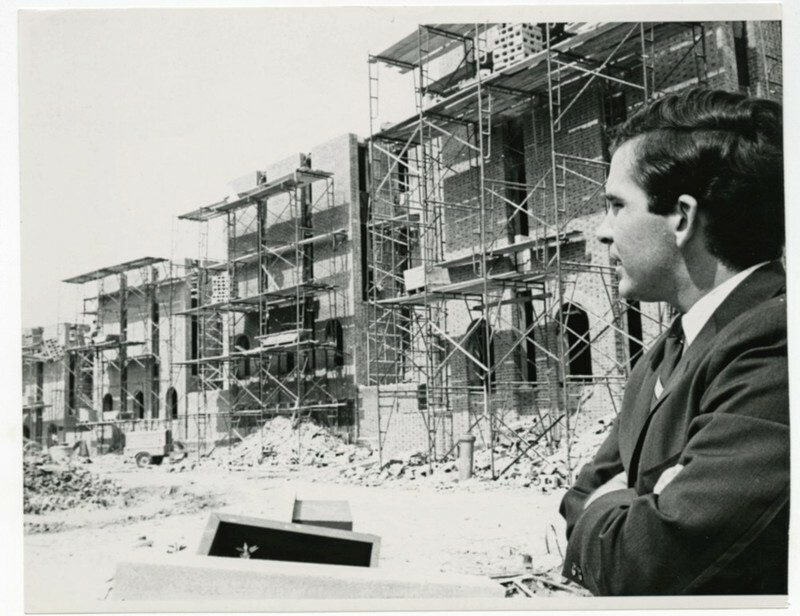 Old Fraternity Complex construction, circa 1967: Larry Marchant, class of 1967, observing the construction of the old Fraternity Complex. ~ Source: University Archives Photograph Collection, UA 8. ~ Creator: College of William and Mary. 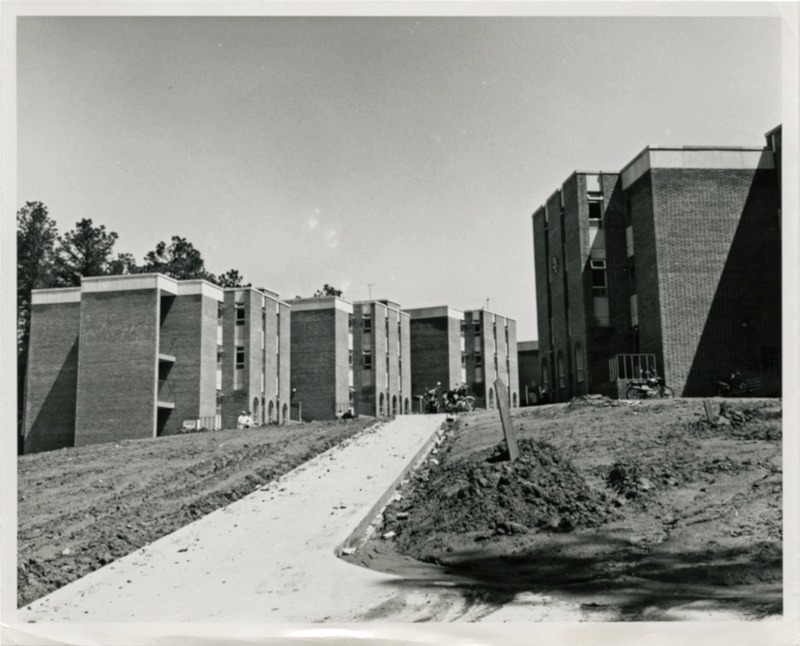 Fraternity Complex, circa 1968: The old Fraternity Complex, now Green & Gold Village, circa 1968. ~ Source: University Archives Photograph Collection, UA 8. ~ Creator: College of William and Mary. 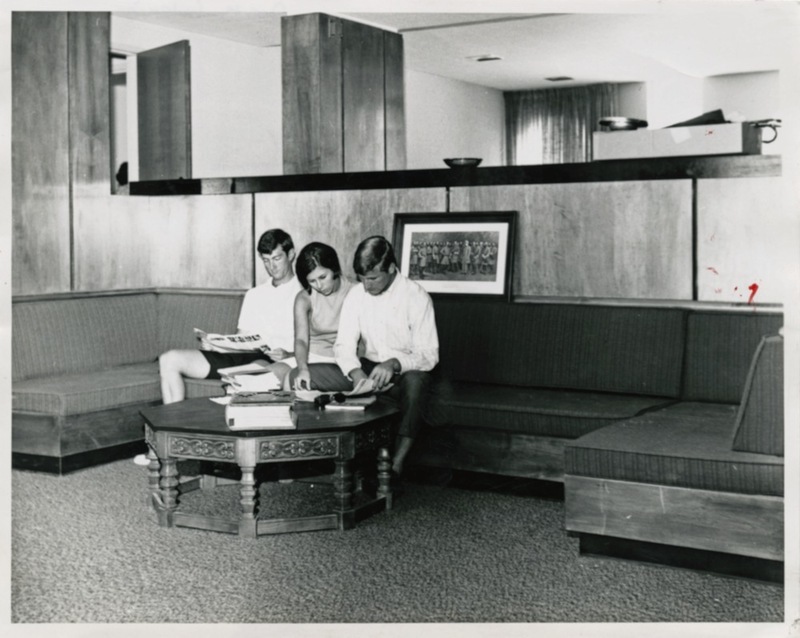 Old Fraternity Complex interior, undated: An undated image of three people in the old fraternity complex. ~ Source: University Archives Photograph Collection, UA 8. ~ Creator: College of William and Mary. 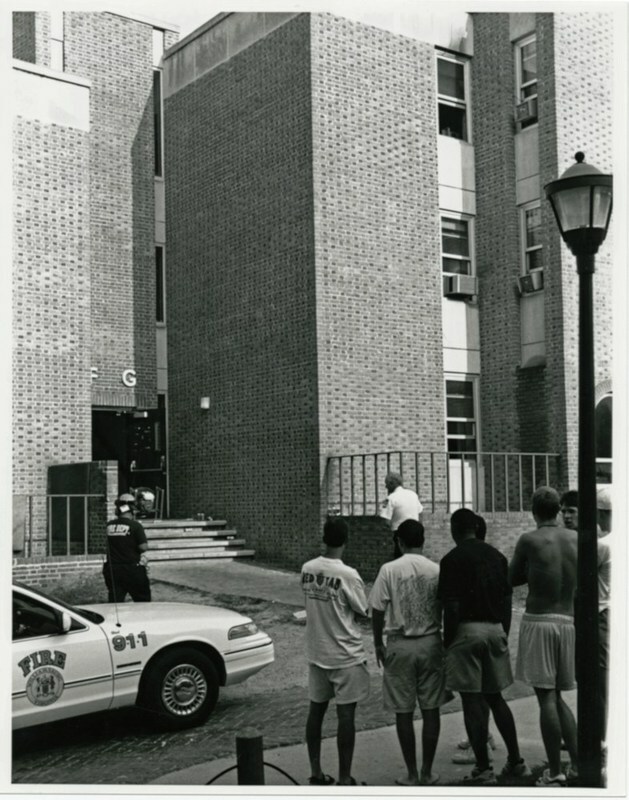 Fire in Kappa Alpha House, 1994: Students outside the Kappa Alpha fraternity house due to a fire at the beginning of the fall semester in 1994. ~ Source: University Archives Photograph Collection, UA 8. ~ Creator: College of William and Mary. Delta Chi Alpha exterior, undated: An undated image of the exterior of the Delta Chi Alpha unit in what is now freshman dorms known as the Green & Gold Village. ~ Source: University Archives Photograph Collection, UA 8. ~ Creator: College of William and Mary. Old Fraternity Complex, undated: An image of a portion of the old fraternity complex, now Green & Gold Village. ~ Source: University Archives Photograph Collection, UA 8. ~ Creator: College of William and Mary. Green & Gold Village, 2015: A 2015 photograph featuring a portion of the freshman dorms of Green & Gold Village. ~ Source: University Archives Photograph Collection, UA 8. ~ Creator: College of William and Mary. Green & Gold Village Rear, 2015: A 2015 image of the rear of one of the freshman dorm buildings that make up Green & Gold Village. ~ Source: University Archives Photograph Collection, UA 8. ~ Creator: College of William and Mary. 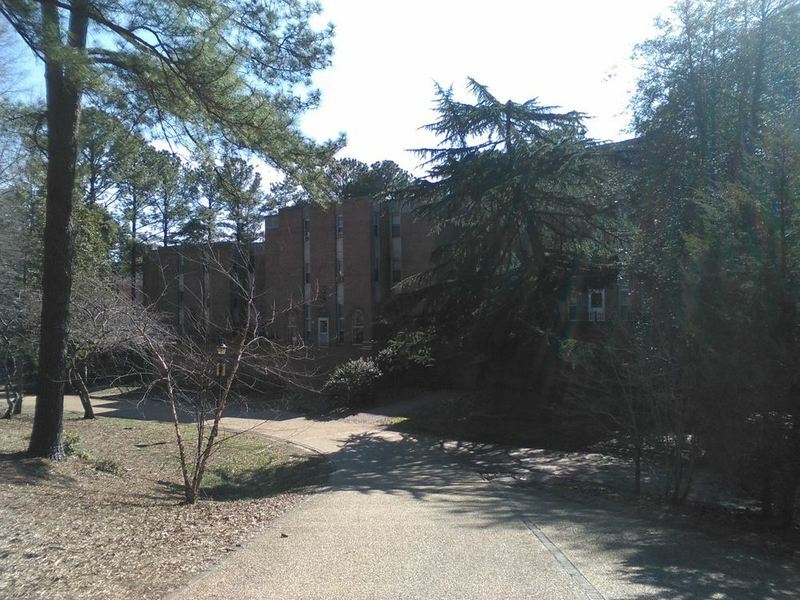 Special Collections Research Center, Swem Library, College of William and Mary., “Green & Gold Village, Constructed 1965-1968,” TribeTrek, accessed April 26, 2019, https://tribetrek.wm.edu/items/show/68.